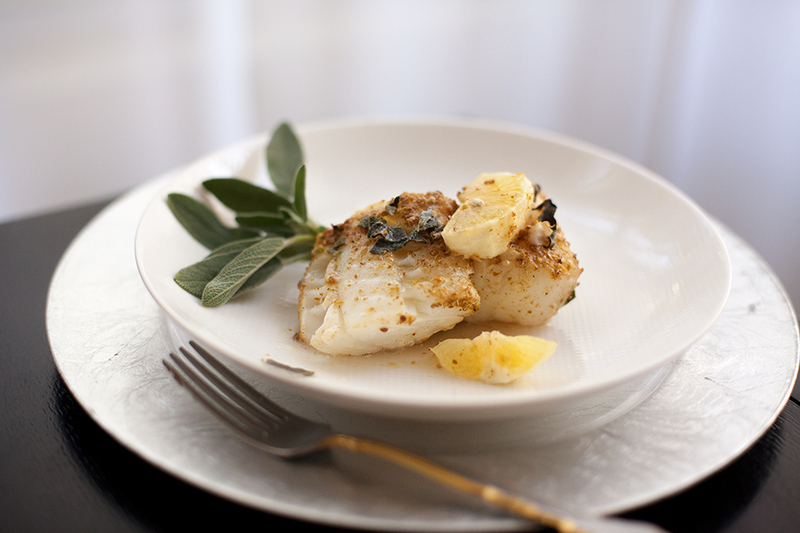 This recipe adopted from my favorite cookbook "At Home with May and Axel Vervoordt". I followed the recipe with some changes: used fewer lemons, 1 1/2 lemons instead of 2 lemons, and increased the cook time. 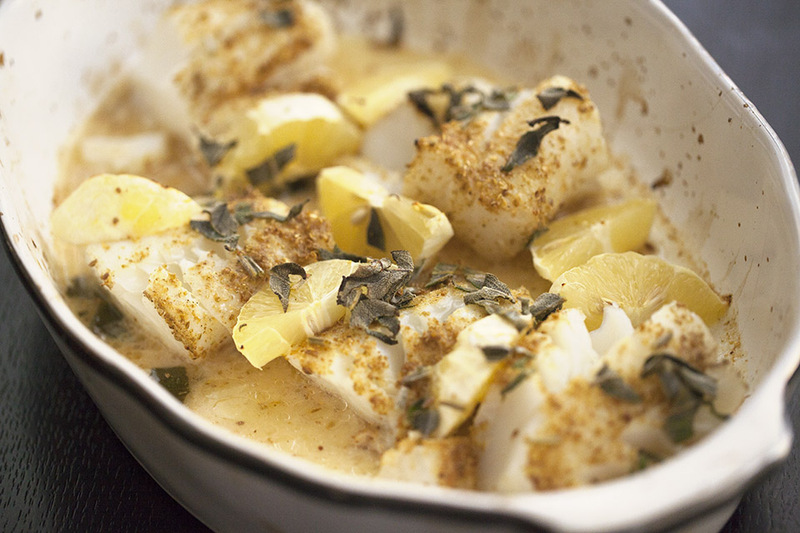 The recipe directs to roast cod for 10 min, but this was not enough. I turned the oven on to broil and cooked the fish for an additional 5 minutes. 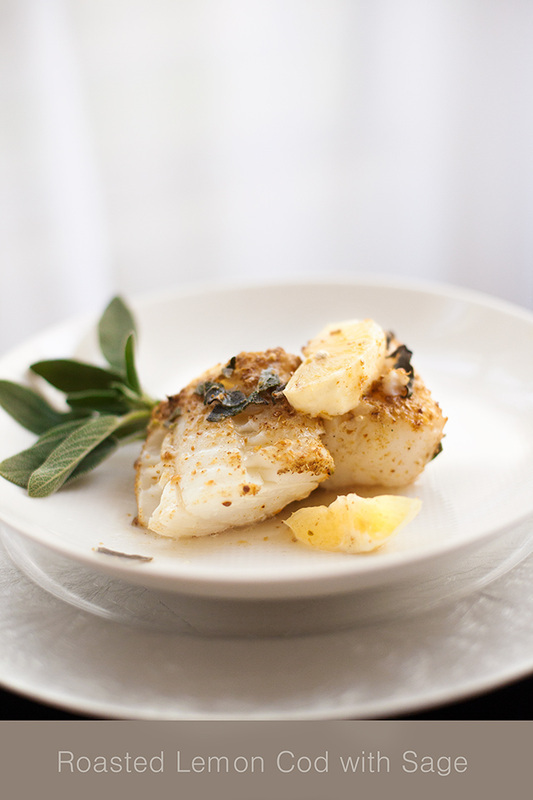 Cod is by far my favorite fish to cook and eat. It is tender, white, non-fishy fish. 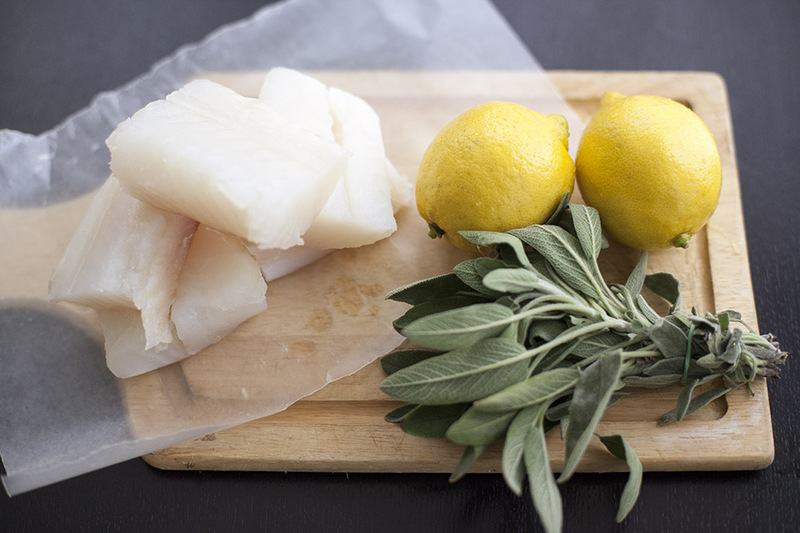 I prefer Atlantic to Pacific cod, because Atlantic cod fillets have a lean meat, with a mild flavor and large white flakes, when cooked. The Pacific cod is lean and flaky with a mild taste, but is not as firm as Atlantic cod because of higher moisture content. Preheat oven to 350F. 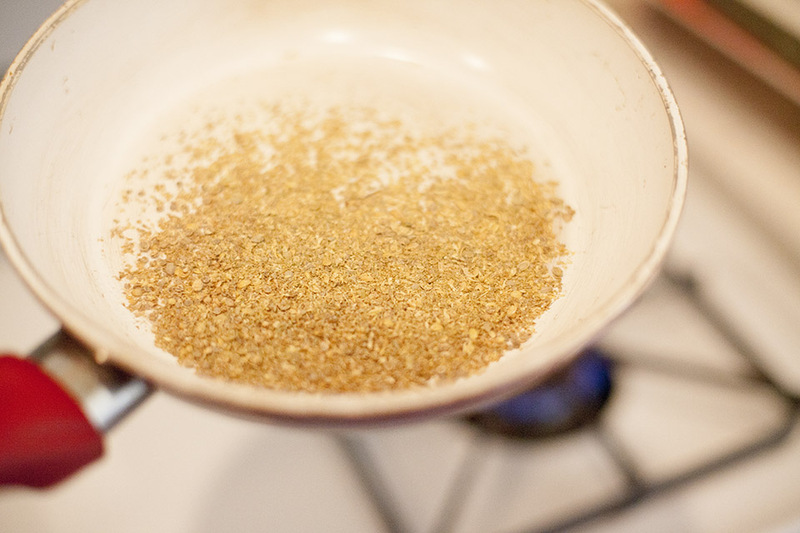 In a small skillet, dry-fry the crashed coriander for about 1 min. or less. It should start to release aroma, but not to get dark brown. 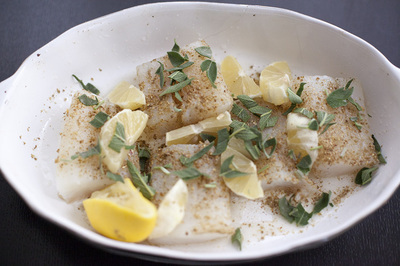 Season cod with salt, pepper, and crashed coriander. Oil a roasting pan and place fish into it. 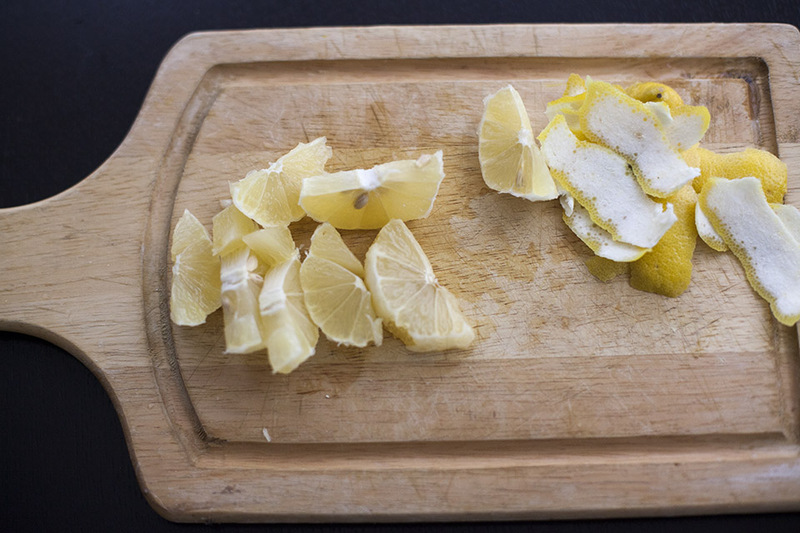 Peel and remove all pith from one lemon and cut the flesh into half moons. Drizzle the olive oil and the juice of the remaining lemon over the fish, then sprinkle with sage. Cook in the oven for 10 minutes, then increase the heat to broil and cook for another 5 minutes. Tip: To peel a citrus fruit cut off the two ends as far as the flesh. Then, using a sharp knife and follow the curve of the fruit, remove the peel from successive portion until the segments are free of any pith.